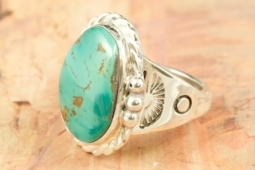 Genuine Pilot Mountain Turquoise set in Sterling Silver Ring. The Pilot Mountain Mine is located in Esmeralda County, Nevada. 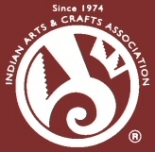 Created by Navajo Artist Giovanna Whitethorn. Signed by the artist.